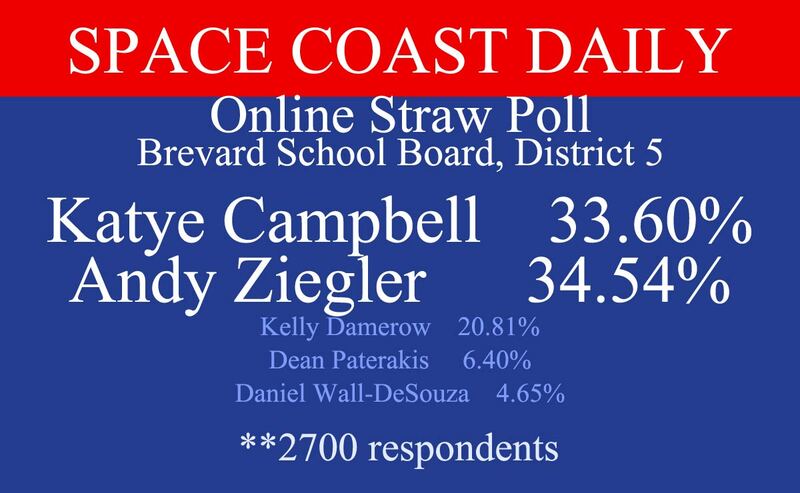 Katye Campbell makes big splash in Space Coast Daily Straw Poll! On June 12, Space Coast Daily, along with the Melbourne Regional Chamber of Commerce, hosted a candidate forum at the Holiday Inn Melbourne-Vierra Hotel & Convention Center, broadcast on Facebook Live. Katye did a masterful job of presenting her viewpoints on key issues. Space Coast Daily also conducted a straw poll on candidates. With 2700 individual respondents, Katye and the incumbent held the top two spots, neck in neck, instantly separating themselves from the rest of the pack. In the first major public straw poll of the race, Katye and the incumbent finished less than 1% apart. This showing served notice to all that Katye Campbell is a strong candidate in a race that is desperate for change.